The Watch Dude: Shark Watches for Shark Week! It's here! This is the one week of American television programming that has teeth. It's Shark Week on the Discovery Channel. It's only natural for this blog to celebrate Shark week with sharks and Shark watches. As a brand, Shark was established in 1997. The official home for Shark brand watches can be found at shark-watch.com. According to the company website, Shark manufactures its own watches and movements. They bring design and manufacturing under one roof. Shark watches are affordable and attractively styled. I first encountered a real shark as a student in a Marine Biology summer school class in North Florida. Our class was fishing with a large seine net just off the beach. I was stationed just outside the middle of the net. I saw a gray blur inside the net speeding towards me. Then I noticed a hole in the net right near my feet. The blur was a juvenile shark and he shot through the hole, zig-zagged through my legs, and disappeared into the vast Atlantic Ocean. My shark was probably all of 2 feet long. To this day, I can remember his fins brushing against my legs. Perhaps the shark I encountered grew into a huge predator and roamed the seas for years? 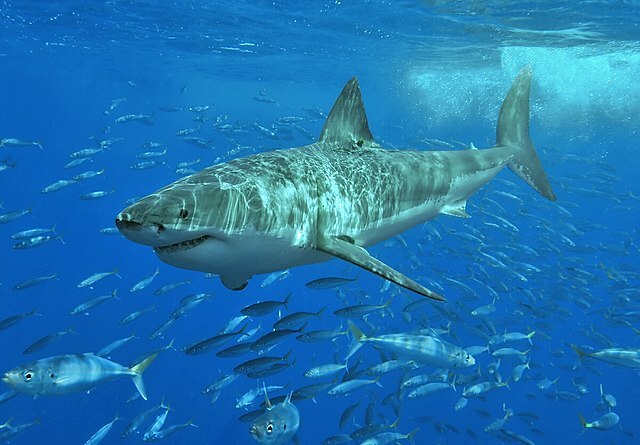 Sharks can live for 20 to 30 years in the wild. As the apex predator, once my shark got big, there would be little for him to fear in the sea. While sharks feature multiple rows of sharp teeth, Shark watches feature a wide variety of styles. They company seems to specialize in rugged-looking ana-digital watches with nice straps. However, they also have a variety of multi-dial designs.